Description Mr. Edmonds posing as a Train driver. 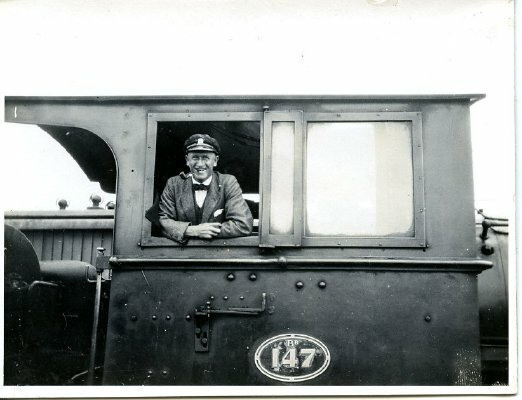 Inscribed on back of photograph: "Edmonds as engine-driver of the New Plymouth Express!! Taken at Marton on 14/1/22"